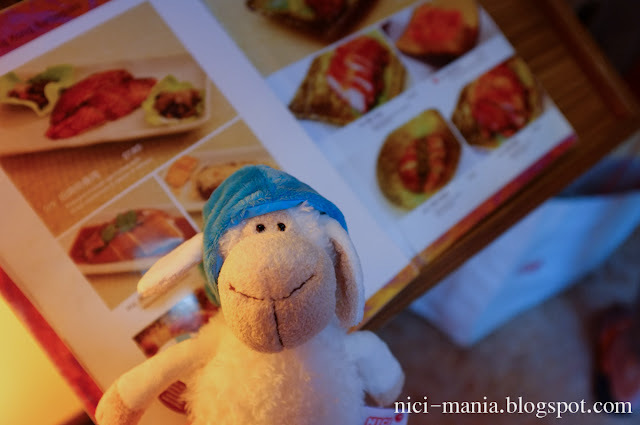 NICI-Mania flock is at Mayim Chinese Restaurant at Bukit Batok West Mall today. Look who's shoes are those! It's Jolly Sleepy! Hello sleepy, you're finally awake! Mayim Chinese Restaurant is always a long queue before you can get in. While waiting for the queue at Mayim, we looked through the menu to decide what to eat first. 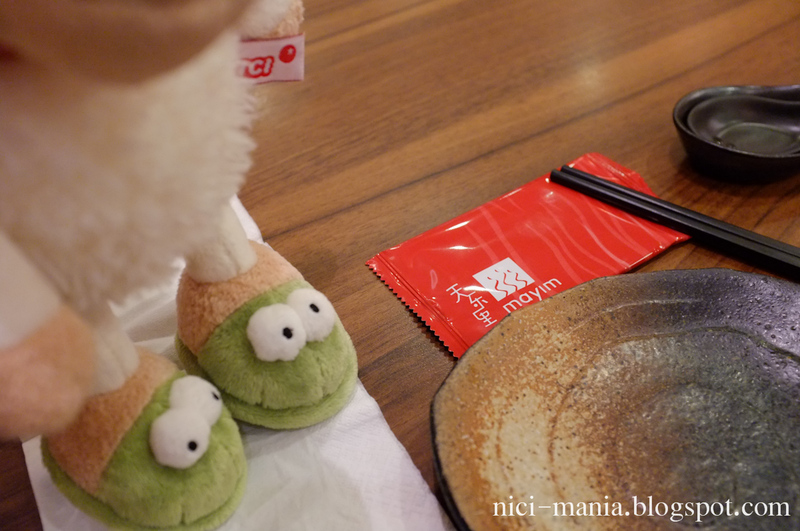 Finally, we were awarded our seats in the restaurant. Jolly sleepy picks a nice spot on the table. You have to write down on a piece of paper your orders at Mayim. At Mayim, the waiting time is not very long. Food is served swiftly. 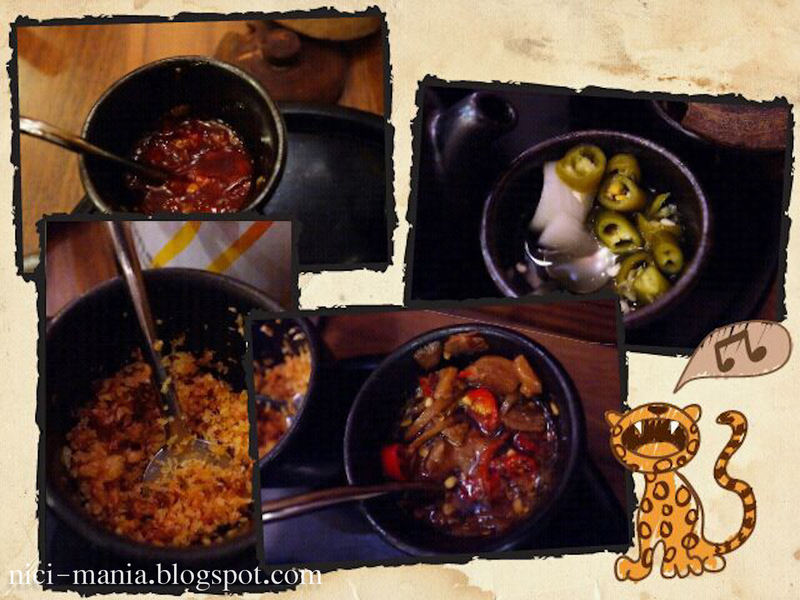 While waiting for our food, we notice some interesting looking mini container/jars on the table. 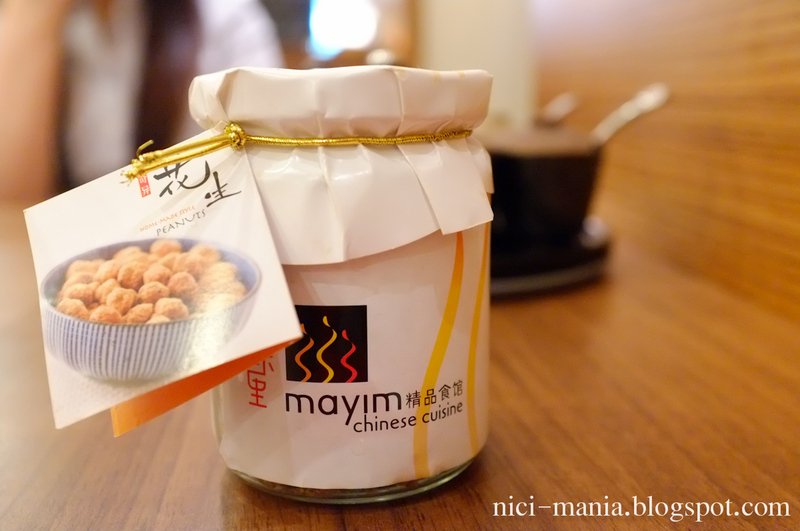 Upon closer inspection, the 4 jars contains: spicy bean paste, fried garlic, green chilli pickles and garlic red chilli.. Fried garlic is our favorite at Mayim if we have to pick one. 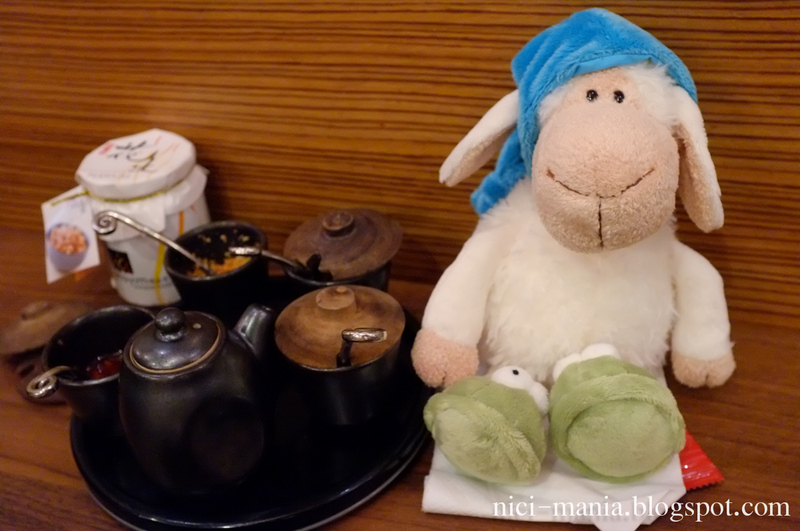 After 5 minutes, our dishes came.. Jolly Sleepy awakes again! 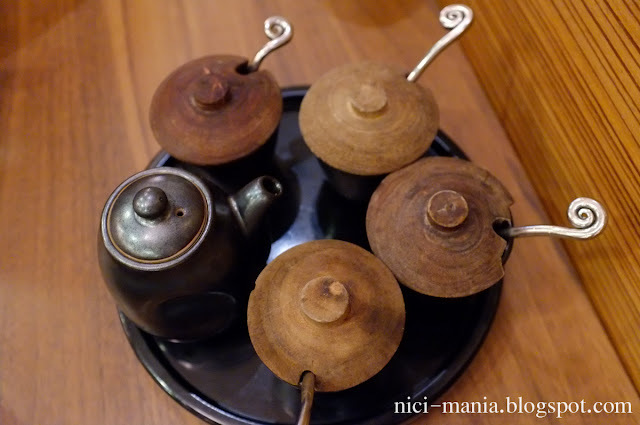 This is one of our favorite food at Mayim Chinese Restaurant. 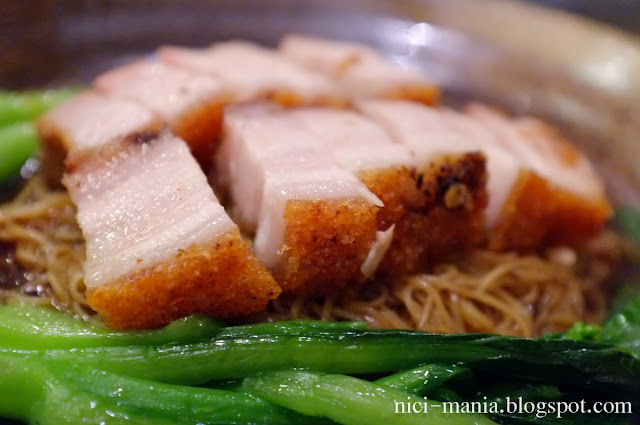 The roast pork noodles! Notice the generous serving of roast pork! 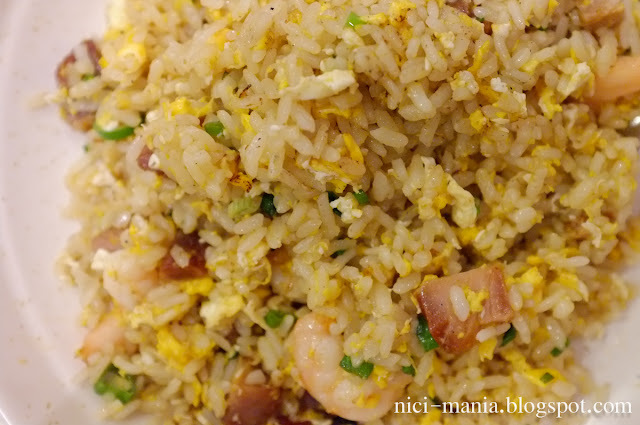 Yang Zhou fried rice came next. 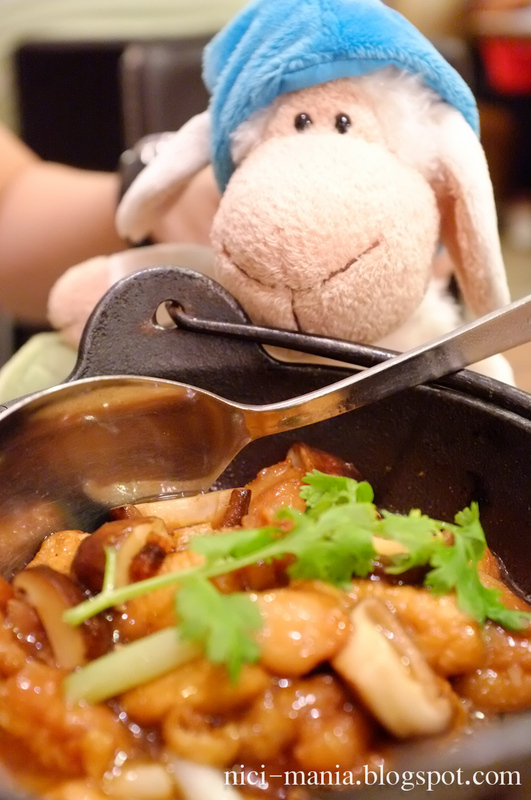 The last dish is "Salted Fish Tofu Chicken Claypot". Jolly Sleepy gaze in hunger! Let's tuck in! 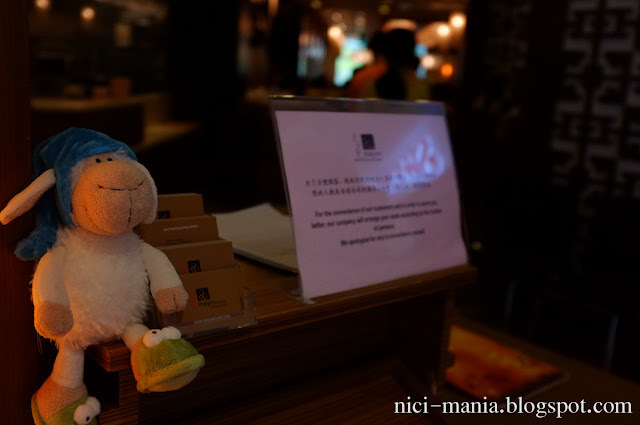 If you don't mind the long queue at Mayim Chinese Restaurant, it is well worth the wait, most of the dishes we have tried is nice. More to come when we visit it again! We may have to STOP reading your blog! There are always TOO MANY good things to eat and it makes us beary hungry! hehe Your photos are beautiful! I agree w/ Jerry & Ben! so much good food.. those roast pork... *droooll* its a wonder your flock is not getting fatter.. =D Jolly sleepy looks so cute, what size is she? It's true, every time I see your blog I get me hungry haha. This Jolly sleepy almost has six cute eyes. Two of the sleepy sheepy, and four of the fluffy shoes he is wearing. Looks like you just got out him out of bed, with the blue cape. We are looking forward to how this sheep will develop in your flock.